Quick… What are these six colors? Now print them. If you can’t make your home photo printer spit out a matching copy, you’re not alone. But don’t throw out your printer just yet. There’s still hope. A friend of mine complained to me recently she finds it impossible to print a picture from her computer and match what’s on her screen. The hard copy never looks the same! Difficult enough for this home-tech everyman to struggle with the same problem. I usually avoid the issue by boosting the chroma and brightness of the photo I’m about to create, because my Epson Artisan 837 typically prints it looking a little flat by comparison. But it’s still never perfect. Shouldn’t this seemingly simple task be WYSIWYG? Then, we could move on to the next home tech challenge. First off, reproducing color is complicated. And it turns out the sensors in our eyes are really hard to replicate. All of today’s remarkable technology that displays or prints a photograph can’t reproduce every shade of color Mother Nature gave the puny human race to enjoy. Even Apple says it’s a hard trick to pull off. So my friend and I aren’t alone in our quest for a printed photo that actually looks the way we want it to. Today, much of your home technology puts color together using two very different color models. So how does one color language talk to the other? 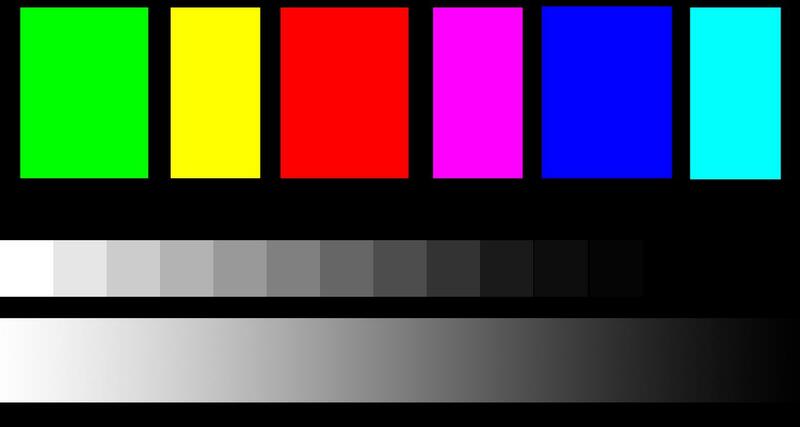 And to further complicate matters, many CMYK ink printers actually operate in RGB mode. So how many levels of color translation do you have to get through before your printer even starts its dance? Yes, it may not be your printer’s fault at all. Your monitor may not be perfectly adjusted. In fact, it probably isn’t. So if that’s the case, your fabulous looking picture will always look different everywhere else in the universe, including on your prints. All computer monitors and TVs natively display their images with slight or sometimes significant differences. And to make the problem worse, their base color and luminance levels will drift over time as they age. Unsupervised, your computer screen will continue to display its own evolving versions of reality. So it’s up to you to teach your display how it should look. #3 – Your Computer Is From Venus. Your Printer Is from Mars. How does your computer translate its RGB color road map to your CMYK photo printer? Back in 1993, some big-brain folks tackled the translation problem. They created the ICC, which stands for International Color Consortium. The ICC developed a vendor-neutral color management system (CMS) that would work across operating systems and software. The resulting ICC profiles allow for matching colors when moving between applications, operating systems and devices. And this system is supposed to match the colors between your monitor and printer. This sounds really complicated, right? Now, that’s not so hard to understand, is it? So ColorSync is Apple’s own color management system that interprets the different ICC profiles assigned to your devices. …while you go about your life happily printing out photos of your cat. But as we all know, in reality, nothing is ever truly automatic. You’ve got to help the process along if you want it to work exactly right. There are two ways to whip your computer monitor into shape. Control it with software tweaks or hit it hard with hardware. Click the ‘Calibrate’ button, which then opens up the utility. Invoking a little Jekyll and Hyde, I decided to take a dose of my own medicine and tried out the Display Calibrator Assistant on my 2010 iMac. The experience felt uncomfortably like a recent trip to the eye doctor. But in a few minutes, I had easily created a new display profile that was slightly different that my default iMac screen profile. It was a bit warmer with a tad more chroma. But was this an improvement, or simply a color shift in the wrong direction? I suppose if your monitor looked way off, this utility would be more helpful. But if you’re looking for minute improvements, there’s really no way to confirm the veracity of your results. So ‘eye-balling it’ can only get you so far. Your other choice is to buy a third-party software/hardware solution. Typically, you place a sensor device over your monitor and then do the adjustments from your computer. the Spyder by Datacolor a year ago, and swears by it. This is another native color adjustment utility in your Mac that checks and adjusts the ColorSync profiles automatically assigned to your devices. I’d never opened up this utility before, and I took a peak in researching this post. If your photo printing capabilities have really imploded, this is a good place to do some research. But unless you’re really in trouble, I would steer clear of messing with this utility. This is where you should focus your efforts after you’re done dealing with your monitor. Here, you’ll find the more pedestrian adjustments that you may or may not be applying correctly. The ‘Presets’ dropdown allows you to choose the type of paper you’re using. Your choices will depend on the printer driver you’re using. Most importantly, select the exact type of paper you’re using. It can make a huge difference if you’re hoping for exact results. If you’re a believer in what your monitor is showing you, go with ColorSync and don’t look back! Otherwise, you can go with your printer’s brain. But be prepared to suffer the fate of endless tweaking. Choose your ColorSync profile that includes your printer model and paper type. From there, all that voodoo digital translation takes place that hopefully creates an accurate hard-copy replica of what’s on your screen. Misinformation Courtesy of Your Friendly Luddite? I know a bunch of big brains out there are shaking their heads right about now after reading my woefully inadequate diatribe on the world of color photo printing at home. Hey, I’m just trying to get along here. And there’s no official manual out there to follow. That said, if anyone out there knows an easier way out of this prickly digital forest, I’m all ears! How are you doing? Any of this making any sense? I feel like I just consumed an eight course meal, and I’m still hungry! After 1703 words, I’m not sure how much closer we are to creating the perfect photo print. Remember, reproducing color is complicated. So it’s okay if this is all digital voodoo to you. plus your few manual (but important) tweaks in the Print menu to improve your photo’s look. For the intrepid tech rebels out there, you are free to dig deeper down the rabbit hole in search of the truth to set your printer free. The Spyder4 may not be enough to help your find your Tech Zen. For starters, you’ll need to better understand the language of color. Like what the word Gamma refers to. tried-and-true recipes for correct monitor color calibration. you can use to perfect your calibration process even further. Be prepared for this quest to be a long and hazardous one. Before you know it, the year could be 2019. Let me know when you return from your deep space voyage. I’m sticking with the digital voodoo. My photo prints won’t be perfect. Close is often just perfect.